The Positive Correlation Between Family Income and Student Academic Achievement; Student Motivation to Learn; Secure Leaders and Freedom & Creativity for Teachers; the Stupidity of Testing Mandates and Teacher Snoopervsion; and, Yes, MACE Has Been Right on All of These…All the Time! | Georgia Teachers Speak Out! 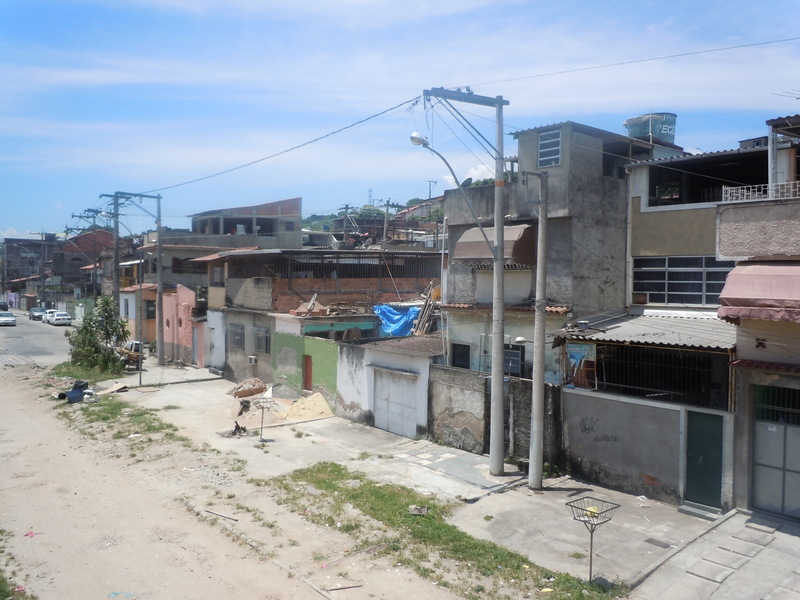 ← Pensando Sobre…Vitamin D Deficiencies, Discipline Deficiencies, And A Few Weeks In “A Cidade Maravilhosa”! The Positive Correlation Between Family Income and Student Academic Achievement; Student Motivation to Learn; Secure Leaders and Freedom & Creativity for Teachers; the Stupidity of Testing Mandates and Teacher Snoopervsion; and, Yes, MACE Has Been Right on All of These…All the Time! Well, here we go again. Ha! “Researchers” thinking MACE’s thoughts after MACE. Recently in the national media, some educational researchers have concluded that a student’s family income has significant impact on the student’s academic achievement. Duh. We have been saying since the inception of MACE (Est. 1995) that income is perhaps the most determinative factor in academic achievement because the students from well-off families have many more opportunities as well as the example of academic importance. If a kid does not perceive that he or she comes from a reading culture, then reading and other academic pursuits will not be important to him or her. These kids will not be motivated to learn, and the motivation to learn is the key factor in achieving in school, assuming that the academic capabilities are there. Most of the academic material that is served up to kids in the public schools is of the scope and nature that 80% to 90% of the students could master 80% to 90% of the material if the student only tried, if they only had the motivation to learn. But, as we have also stated a number of times here and elsewhere, our educrats want to treat all failure to learn as technical breakdowns (instead of motivational breakdowns) and teaching inadequacies. The theory: the teachers are not teaching “hard enough” or the teachers just need more training. No, we need a better class of students — pun intended. Our students are not motivated to learn, and this often ties into the culture from which they come. A poor, impoverished culture (especially one dominated by illicit drugs and the concomitant crimes that come with the drugs) usually does not produce students who come to school “all bright-eyed and bushy-tailed.” This is just a fact. Until the teachers are freed up to use teaching strategies and tools of which they are confident will work in motivating these unmotivated students, then the achievement gap will remain. The academic doldrums will remain inexorably static, regardless of what idiotic program or plan that numbskulled educrats try to foist upon an unreceptive teaching corps, a teaching corps which knows that these stupid plans never work because they are not rooted in reality. They ignore crucial factors like income levels, cultural mores, peer pressure, and the cruciality (did just make up a word?) of motivation to learn. I am glad that the rest of the educational community is finally seeing the stupidity of the plethora of mandated standardized tests (which became the curricula as well as the fundamental cause for the culture of cheating in our public schools), No Child Left Behind, and a host of other mindless mandates. School reform has never (yes, NEVER) worked on a nationwide basis, a statewide basis, or a system-wide basis. The famous Goodlad study concluded this back in the early 1980s (John Goodlad, A Place Called School). Diane Ravitch pointed this out in one of her tomes on school reform which came out nearly 15 years ago. But, our politicians and educrats keep trying to force “school reform” (of various flavors) upon an unreceptive teaching corps. Teachers know what works. What works is this: A secure, confident, and open leader at each school who respects, esteems, and encourages the uniqueness, originality, and creativity of each teacher in his or her classroom. This leader facilitates the needs of the teachers and does not operate in a threatening mode – does not hover over the teachers, does not engage in stupid and silly snoopervision. A good leader praises the teachers and motivates the entire teaching staff with collegial and friendly collaboration. An esprit de corps develops among the faculty and staff. The esprit de corps spreads among the students. The students become fired up. This contagion and pride of learning becomes infectious, and all of this takes place without the Nazi-type threats from insecure and small-minded principals. © MACE, February 11, 2012. 2 Responses to The Positive Correlation Between Family Income and Student Academic Achievement; Student Motivation to Learn; Secure Leaders and Freedom & Creativity for Teachers; the Stupidity of Testing Mandates and Teacher Snoopervsion; and, Yes, MACE Has Been Right on All of These…All the Time! Good article Dr. John Trotter…….however, until our public school systems return to local control they will continue to be dismal. Did I just say “States Rights”?…….why, yes I did!! !……our Federal Bureaucracy is totally inept and incapable of managing something of this magnitude. Keep it up, Dr. John. Right you are, Walter, right you are. Thanks for commenting!